At first glance, the specifications of the Nokia 7710 look very contemporary. A Nokia smartphone with a large 3.5" 640 x 320 pixel touchscreen display, a completely new version of the Symbian operating system plus strong multimedia support, it doesn't sound a million miles away from the new Nokia N8. But this is November 2004, not November 2010.. and the Nokia 7710 is one of Nokia's most notable failures. 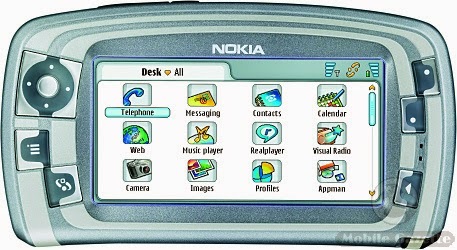 This was Nokia's first production touchscreen phone.. and basically the last touchscreen device they made for four years until the Nokia 5800 was released. The 7710 also came two years before the iPhone brought Apple's take on the same idea to market.. and ultimately it was the iPhone and not the 7710 that redefined the smartphone market. When you look a bit more deeply at the 7710, the reasons for its lack of success are perhaps more obvious. This was a GSM-only device, supporting GPRS and EDGE data with no 3G or WiFi connectivity. Practically, it meant that most customers were limited to download speeds of just 48 Kbps, less than the speed of a dial-up modem. 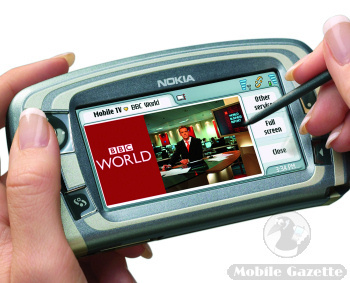 Nokia had introduced their first 3G handset (the Nokia 6600) the previous year, and the Nokia 9500 (also announced in 2004) featured WiFi support. So, it's not as if Nokia couldn't do 3G and WiFi.. they just didn't do it with the 7710, a move that effectively crippled it. There were other problems as well. The 7710 was hampered by a slow 168MHz processor, fairly typical for the time but really quite underpowered for a big screen smartphone like this. The 7710 also had limited internal memory, but again the technological limitations of handsets from this era really made that inevitable, and Moore's Law usually helps to fix most performance problems. One of the big differences between the 7710 and the original iPhone is that the iPhone had access to much more modern componentry, especially a significantly faster processor. The price tag of €500 before tax and subsidy also made this an expensive phone, combined with quite a few rough edges on the Series 90 operating system and a not terribly good display, the 7710 pretty much bombed in sales terms. A number of 7710s were retro-fitted with DVB-H receivers to pilot free-to-air mobile TV, but other than that the handset virtually vanished. Given that there was obviously real consumer demand for a phone like this, at the time being met by the likes of the HTC Blue Angel and the Sony Ericsson P910i, then you would expect that Nokia would pick themselves up, dust themselves down.. and come up with something better. But in fact, Nokia cancelled the entire project and operating system and didn't return to the touchscreen market for another four years. The repercussions of the 7710's cancellation are still being felt today. Although some of the work done on this phone was folded back into mainstream S60 devices and carried forward into Maemo (eventually leading to the N900), Nokia effectively wasted the chance to be the market leader in touchscreen smartphones. These days the Nokia 7710 is quite collectable due to its rarity and unusual design for the period, typically selling for €200 or so in good condition.. although given its flawed design it is unlikely that anybody still uses one as their everyday phone!